Think of the canyon and everyone starts thinking about Grand Canyon of USA. But do you know: India has its own canyon! 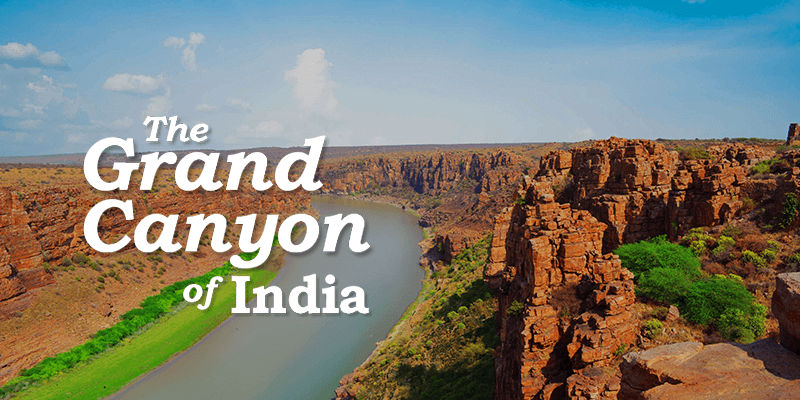 Yes, you heard it right; the Grand Canyon of India is situated in Bhainsrorgarh, Kota district of Rajasthan. And if anything, it is more beautiful that its US counterpart! Bhainsrorgarh is one of the many places to visit in Kota. So, today we take a look through Bhainsrorgarh tourism attractions as well as Kota points of interest. Sitting majestically above a cliff with the mighty Chambal flowing below it, Bhainsrorgarh Fort is a mesmerizing sight. The first look at the fort will surely leave you awestruck. Ironically, this beautiful fort remained neglected for several years which has left its imprints on the walls. 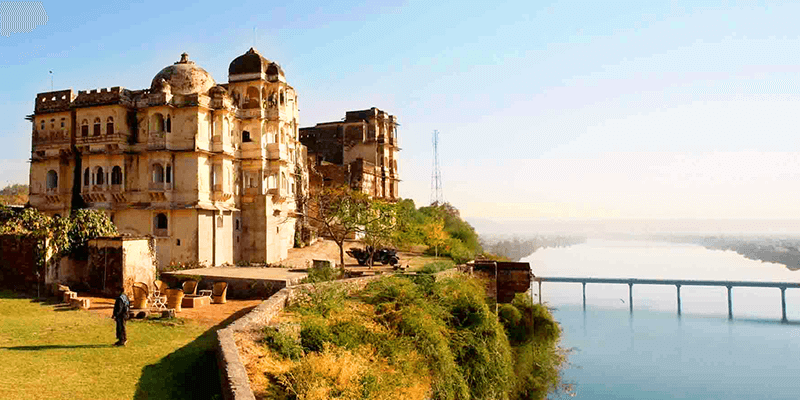 However, since 2006, some parts of the fort have been restored and converted into a cozy heritage hotel where tourists can enjoy the rural life of Chambal. Much less known, but really beautiful Mukundarah Hills (Darrah) national park lies across the Chambal. If you want to witness the animals, then the best idea would be to use morning safaris. During the morning hours, tourists have a definite chance of spotting many rare species of birds and even occasionally a panther. 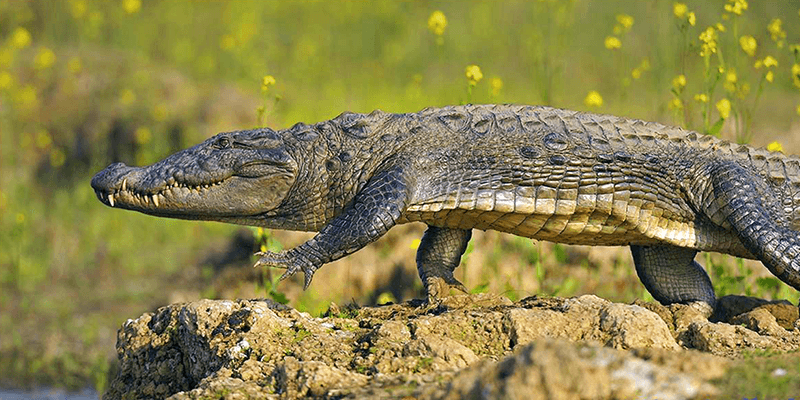 If you are really lucky, you many even spot an alligator in the deep paddy fields. 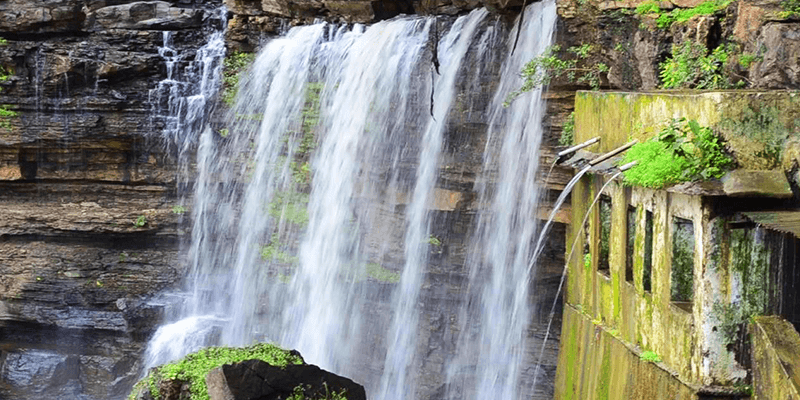 Located about 16 KM away from Kota, Gaipernath waterfalls is an exquisite site, especially during the monsoons. Just beside the falls there is an age old Shiva temple. The road to the Gaipernath Falls is dotted with many tea and snacks stalls, where you can satiate your hunger. If you like to spend some time just enjoying the beauty of nature, then climb up the rocks and enjoy the majestic view of the green valley below. For the adventurous minded, there is waterfall pool which will provide a thrilling swimming experience. Trivia: Rumour has it that if one does not pray to Lord Shiva before going near the waterfall, he/she may lose their life. 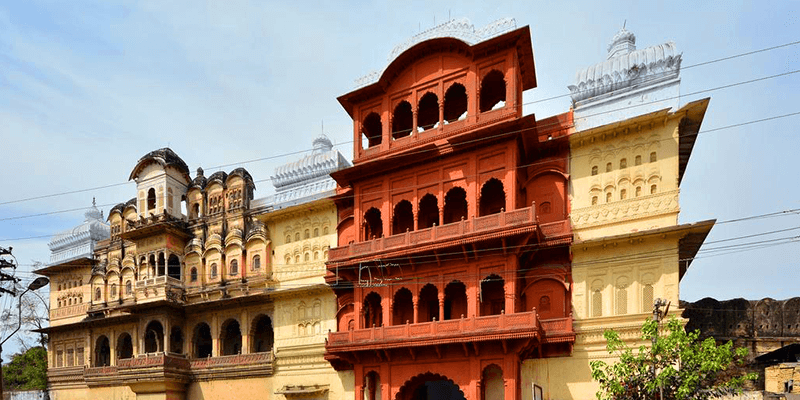 Apart from being one of the prominent cities of Rajasthan, Kota is also famous for many tourist attractions – from temples, palaces to museums and gardens. 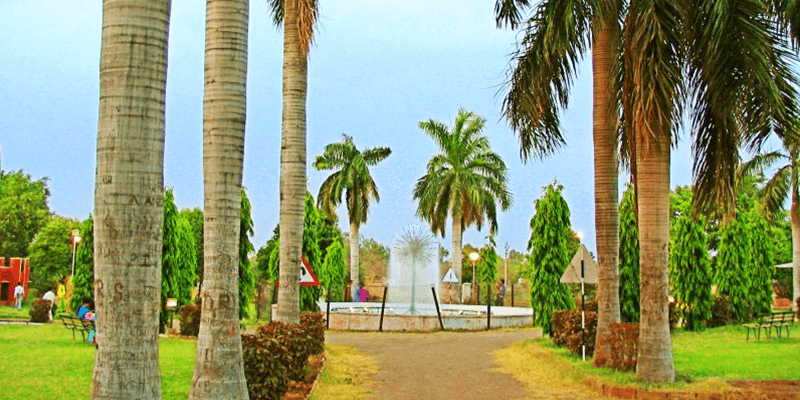 Let us look through some of the tourist places in Kota. 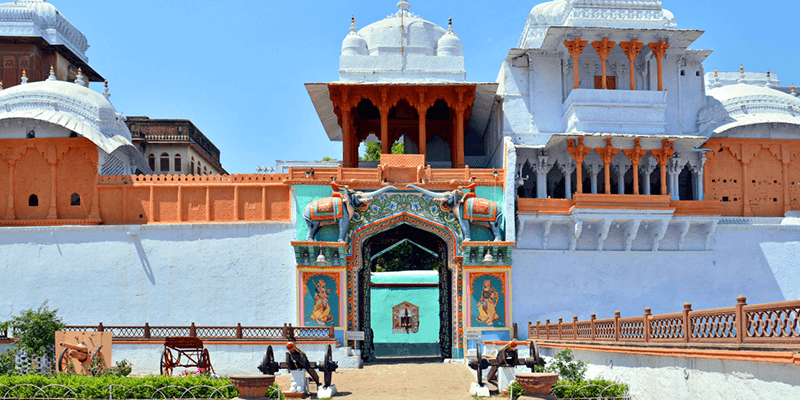 Located in middle of the Kishore Sagar Lake, the Jagmandir Palace in Kota will give you a glimpse into the life of royalty. The compound holds a beautiful 18th century temple known as Jag Mandir. There are also beautiful gardens all through the area, where the tourists can take walks. But the star attraction here are boat rides on the Kishore Sagar Lake Kota, which offers a unique experience. The Garadia Mahadev Temple in Kota is dedicated to Lord Shiva. The temple is also famous for its picture perfect settings. 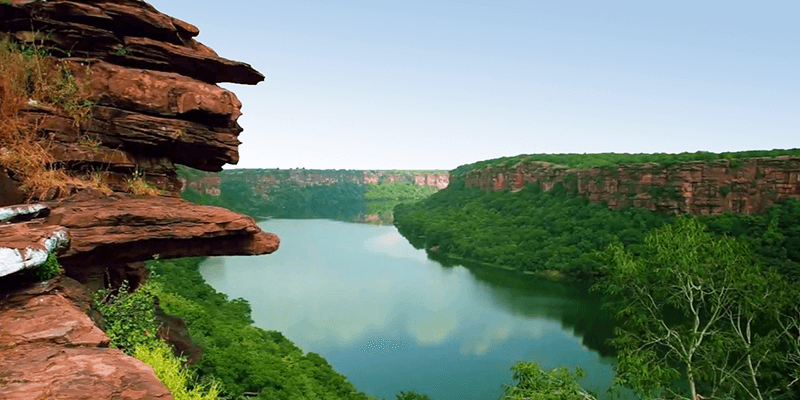 It offers great views of the Chambal Valley as well the Canyon. Best Views: Enjoy the views of the canyon from the rocks adjacent to this temple. 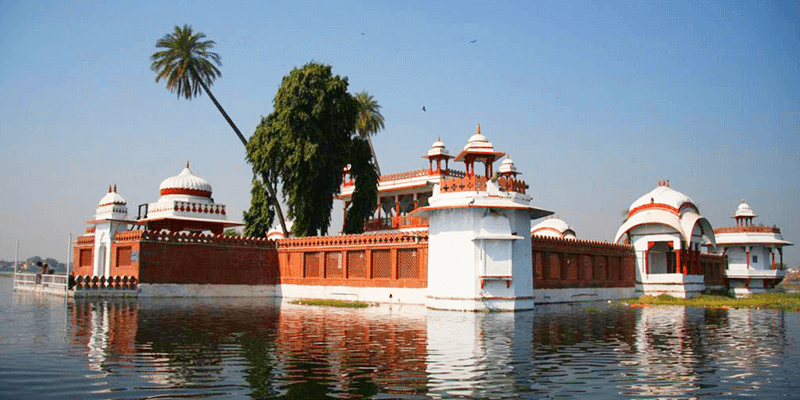 This 13th century palace served as the official residence of Kota rulers. The palace complex houses a lavish museum that contains paintings and other items owned by the erstwhile rulers. While going through the museum you should not miss out on the extensive armory exhibits as well as the silver palanquin. Note: Before visiting the palace do call up the Trust office (at +91-744-2385040), because the tourists are not allowed into the Palace on many special days. 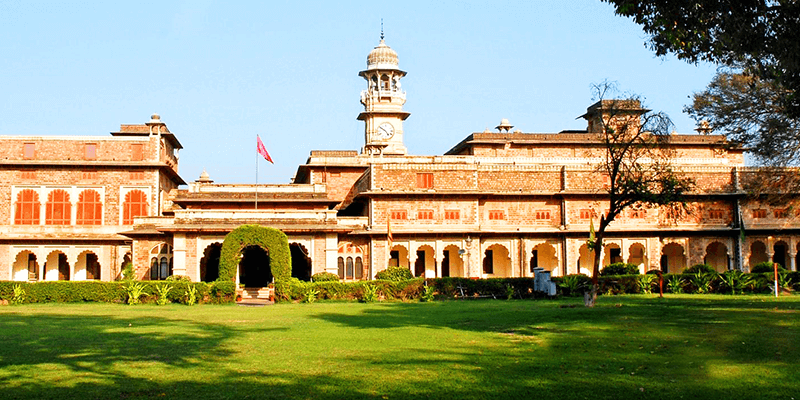 If you want a sneak peek into the local and royal life of Kota, then this museum is a must visit. The museum, situated within the Brij Vilas Palace, contains a rare collection of statues, weapons, coins, manuscripts and Hadoti sculptures compiled from private collections of many Rajput families. Must See: A section of the museum contains sculptures dating back to the Gupta period. Note: Photography is not allowed within the campus. For the religious buffs, Khade Ganesh Ji temple is of prime importance. It is the only temple which has a standing 600 year old, statue of Lord Ganesh and it is believed that whatever one wishes for, Lord Ganesh will gift to the devotees. The road to the temple is lined with stalls for Prashad and other eateries. Must See: Aarti of Lord Ganesha held during opening and closing of temple gates. Situated near river Chambal, these gardens are the perfect place to go for long calming walks during morning and evening. The gardens are very well maintained and clean with a lot of stalls to snack out.